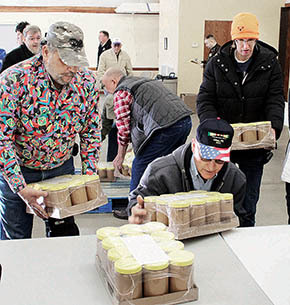 Pallet-loads of food were again delivered to needy families of the Boone County area by the Mobile Food Pantry last Saturday, Jan. 24, at the Casey building on the fairgrounds. 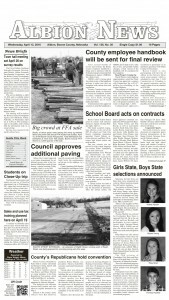 Some 10,000 to 11,000 pounds of food was distributed from Food Bank of the Heartland. About 60 volunteers were on hand to help with unloading and distribution, and an estimated 122 families received food.